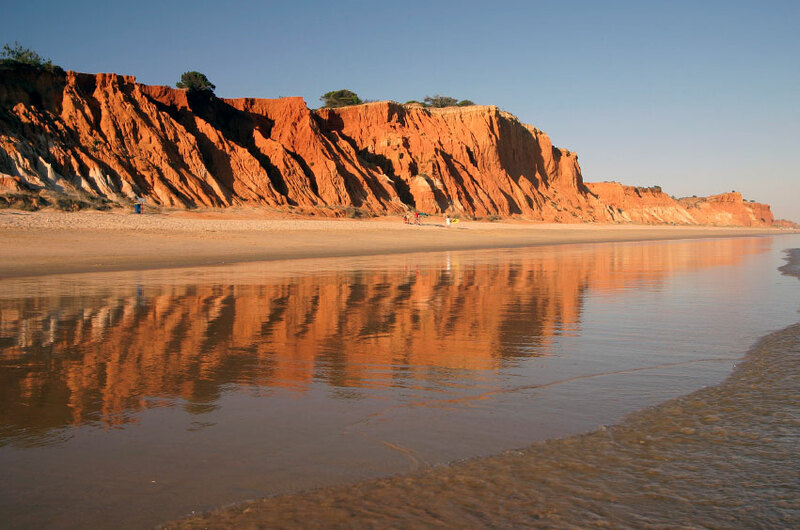 Central on the Algarve coast and only 40 minutes away from the Faro airport, Albufeira has been the most popular holiday destination in the south of Portugal since the 1970s. Originally a fortified Roman town, and for centuries a typical algarvian fishing village awash with simple white houses and the smell of grilled sardines, this picturesque location is now a thriving tourist town offering activity and diversion day and night, and surrounded by a host of beautiful beaches. The narrow streets of the centre have been well maintained and lead to Largo Duarte Pacheco, the main square. Near here there is a tunnel to access the town’s principal beach, the tourist information point and it’s also a good place to hang out and watch the town go about its daily business. As one heads out of the centre, Albufeira spreads into a multitude of tourist developments and hotels, and colourful new buildings surround the recently built marina. 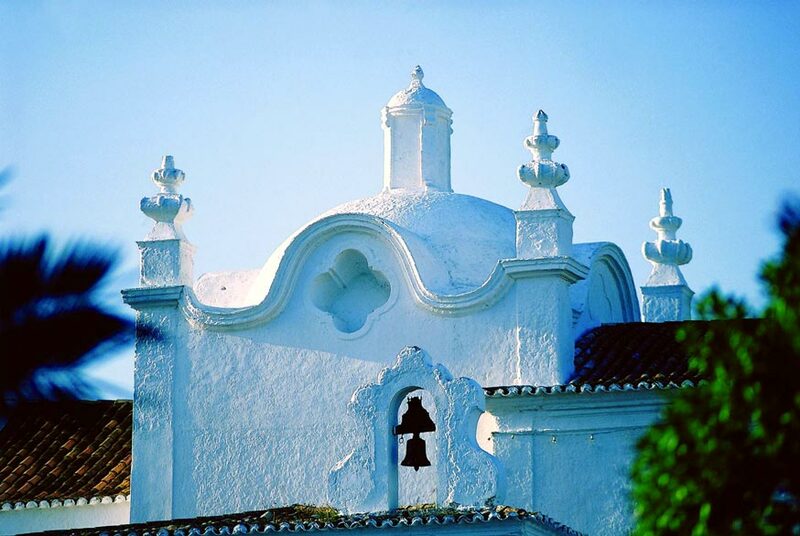 Cultural sights in the town include the Manueline doorway of the Church of São Sebastião and the archway in the Travessa da Igreja Velha, evidence of the Moorish presence in the town. The ‘old church’ in the name of the street refers to what was once a mosque, latterly transformed into a Christian church and destroyed in the earthquake of 1755. The clock tower on Rua Bernardino de Sousa is considered a local treasure and its filigree iron bell support is illuminated on festival days. Another tower of note is the 19th century bell tower of the Matriz Church. 28 metres high, it complements the neoclassical white church below whose interior boasts a precious piece by local painter Samora Barros above its main altar. The local municipal art gallery holds differing exhibitions and a collection of medieval Ming ceramics is on show at the local museum. At night, myriad bars and restaurants open their doors as Albufeira's nightlife gears up. Local specialities include the steamed seafood served in its metal cooking dish, the cataplana, and freshly caught fish in various guises including caldeirada, fish stew. Sun blessed revellers of all generations spill out onto the cobbled streets later on and on certain days of the year local festivities include live music and fireworks (especially 20th August and New Years Eve). The beaches of the area are doubtlessly the main attraction, with their golden sand, the stunning colours and contours of the cliffs, and the reliably good weather. Aquatic sports and boat trips are very popular here and just 10km away the Zoomarine is a marine park where education about wildlife is offered via interaction with dolphins. Olhos de Agua and Falesia are the closest beaches offering good tourist facilities and therefore, although very beautiful, often the most crowded. Praia da Galé and São Rafael are a few kilometres along the coast but offer a more secluded experience whilst still providing the necessary facilities and the extra bonus of some stunning rock formations. For the visiting golfer, three courses stand out. Salgados is well-known and offers a challenge to even the most practised with its lakes and seaside terrain. Beginners fare well on the 9 holes at Balaia and The Sheraton Hotel, situated in a breathtaking cliff top location to the east of Albufeira, has its own 9-hole course, Pine Cliffs, built as its name suggests in pine woods.